For tantalisingly smooth chocolate-coated macadamias, with the faintest hint of coconut and a buttery aftertaste that lingers long after the last morsel has gone, call into Lindo and Laetitia Ferguson’s place at Butler Point, Hihi Beach, Doubtless Bay. It’s signposted from SH1 or you can take a 150m boat ride across the harbour from Mangonui. Makana Confections creates endless varieties of irresistible chocolate treats such as chocolate dipped apricots, coated macadamias, chocolate ginger as well as an array of truffles. The macadamia butter toffee crunch is also pretty good, as are the citrus jelly squares! Bennetts of Mangawhai crafts a variety of unbelievably good chocolate by hand. Every delicious mouthful oozes fresh cream fillings and tangy flavours such as blackcurrant, lemon cup, and feijoa, extracted from fresh and freeze-dried fruit. Shelf life is limited due to the fresh ingredients, however, they’re so incredibly tasty I can’t imagine this poses much of a problem! When you step inside the Silky Oak Chocolate Company the smell of rich cocoa nearly bowls you over. Behind glass partitions, chocolate made from couverture can be seen in various stages of creation including its mouth-numbing chilli-chocolate blend, which is exquisitely wicked. Also onsite is a museum dedicated to the history of chocolate and a chocolate garden. Fortunately Greytown’s foodie boom includes the divine Schoc Chocolates, maker of organic and preservative-free chocolates and truffles. Deliciously bitter dark chocolate is a specialty here, as is a signature lime-chilli range – all the rage in these parts. Locally sourced products are used to create orgasmic confections on site such as the Te Tera pinot noir truffle, and ginger and wasabi truffles. There’s a four-week expiry date on all Schoc’s products, which in my world anyway, is rather redundant. You know you have found heaven when you enter the sweet-smelling confines of Coco on Geraldine’s Talbot Street. This chocolate-lovers’ paradise offers a fine selection of delectable goodies such as pralines and truffles that simply should not be missed. What’s more, there’s no need to feel at all guilty as only the best of ingredients are used, including specially imported Barry Callebaut Belgian chocolate. You can even wash it all down with a mug of delicious hot chocolate. Patagonia Chocolates in Arrowtown is tucked down a little alley. This shop brings all the rich goodness of the classic Patagonian style of making chocolate together in one place. You can watch the time honoured art of Rama making, and sample its fine range. Patagonia Chocolate stores can also be found in Queenstown and Wanaka. Tubs of oozing chocolate await and delectable truffles are churned out by the truckload at The Seriously Good Chocolate Company in Windsor, bordering Queen’s Park. Simply follow your nose here for great coffee, tea, and a glorious finger-licking feast of very naughty delight: hot chocolate topped off with factory off-cuts, truffles of every conceivable description, chocolate mud, Rocky Road, Southern Rabbit’s ‘droppings’, ‘tuatara’ chocolate eggs, chocolate sauce, chocolate wax, orange chocolate jam… and so the list goes on, and on. 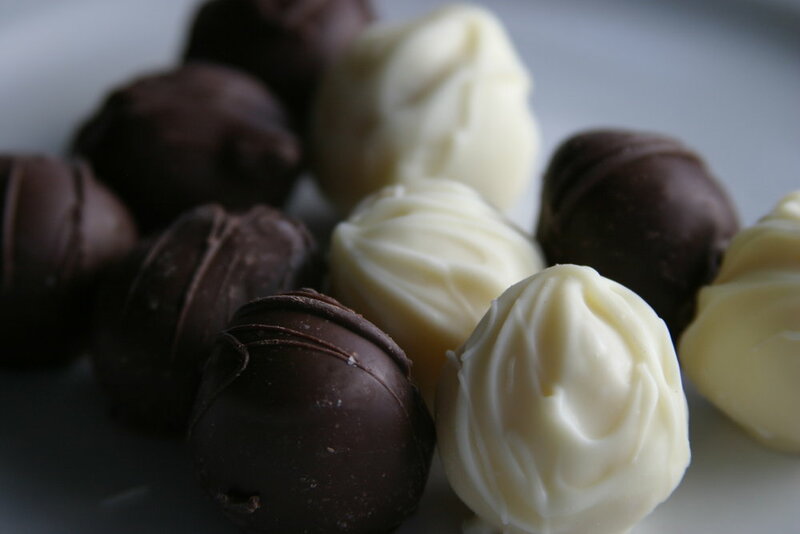 You can even book into a chocolate making class or take a factory tour.